Dimitar Bechev used to work for ECFR as Senior Policy Fellow. Below the superficial unity in response to the Ukraine crisis, member states are dividing into clusters, each with its own view on Russia. The panic in Britain over prospective Bulgarian and Romanian immigration is based on a misunderstanding of European rules. It is also at odds with the country's best traditions. There are still countries in Europe where protestors enthusiastically wave the EU's star-studded flag rather than burning it in anger. These days Kiev's embattled EuroMaidan is as much the heart of the Union as the Schuman roundabout in Brussels. So who said Europe lacks a story and a cause? 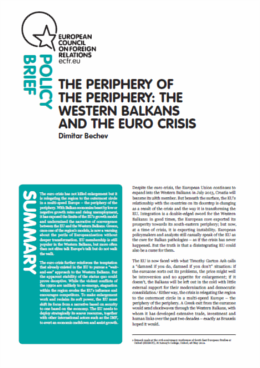 The periphery of the periphery: The Western Balkans and the Euro crisis. What next for EU enlargement? Mistrust is the basic idiom of Bulgarian politics. The prolonged crisis in Bulgaria exposes the bankruptcy of an entire political system in desperate need of renewal. The eruption of protest in Istanbul and other Turkish cities expresses vigorous opposition to the political direction of prime minister Recep Tayyip Erdoğan. This is a big, even historic, moment in Turkey. The EU-brokered deal between Serbia and Kosovo settles the most acute dispute in the Balkans and is likely to have an impact on the wider region. Yet it may be too early to declare victory in the Balkans. 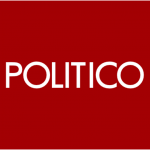 Policy fellow Mattia Toaldo speaks to Bloomberg Business regarding Libya's war and social breakdown, and the subsequent migrant crisis facing Europe. Dimitar Bechev's interview on the results of the presidential elections in Romania. Dimitar Bechev on EU Enlargement. Bechev on the resistence to EU enlargement.